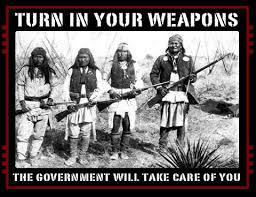 Gun Confiscation ALWAYS Precedes Genocide, Will You Follow Hitler and Obama, or Jefferson? “Give me your gun, I will keep you safe”. Yesterday, The Common Sense Show interviewed Larry Pratt, the Executive Director of Gun Owners of America. Mr. Pratt expressed strong opinions in the areas of school safety plans, generalized public safety and Obama’s future intention of issuing an Executive Order in order to seize as many American guns as possible. The San Bernardino event is a watershed event. American lives, on a grand scale, are at risk in ways unlike at any time in our past. Not only are 14 Americans dead at the hands of radicalized Muslims tied to ISIS, there is the promise of more to come. Enrique Marquez knows much more than he is admitting to. 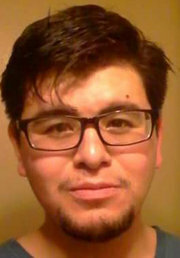 The New York Times is reporting that Enrique Marquez, the man who procured the arms used in the San Bernardino ISIS sponsored terror event, has warned both FBI authorities and the American public “That there are so many sleeper cells, so many people just waiting“. 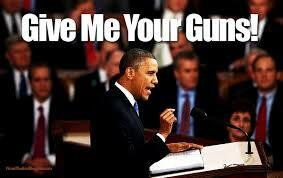 Obama, once again is becoming America’s number one gun salesman. However, most of the new gun buyers are not first-time buyers. Many are adding to their cache of weapons, which is no doubt spurred by the ever-increasing false flag terror events in places like San Bernardino. Most Americans are still looking to this administration to solve the terrorist threat. Any sightly aware American know that the CIA, acting during this administration, created and funded ISIS. Our unaware fellow citizens are on the path to self-destruction. 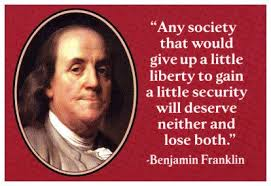 Most Americans believe it is appropriate to give up liberty in the name of obtaining some measure of security. 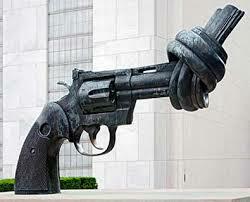 One would think that everyone would know that giving up the guns is a prelude to genocide. It happened 17 times in the 20th century. 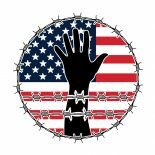 The most recent Rasmussen Poll question: In the light of recent ISIS terror attacks, are Americans willing to waive their rights in order to achieve some measure of self-perceived safety? -92% of surveyed American citizens now consider radical Islamic terrorism to be a threat to the United States. 73% consider the threat to be very serious. -53% of Americans feel less safe in the face of Islamic terrorism than they did after 9/11. -50% of Americans feel that the American government is not devoting enough attention to combating Islamic terrorism. -53% of Americans believe that controlling the Internet, whenever possible is needed to combat terrorism. This is more important than allowing complete freedom of the internet. -57% of surveyed Americans believe that it is more important to protect a terror attack than to preserve individual liberties. -33% of individual voters believe it is a good idea to monitor individual Muslims in this country. All of these surveys were taken before last week’s San Bernardino incident. These statistics are shocking, disheartening and upsetting. Most Americans know nothing of history. Our founding fathers understood how to deal with terrorists. Americans are allowing themselves to be led to slaughter. Among the rights we will give up will be Second Amendment. George Washington was quite clear in his resolve in having an armed citizenry. An armed citizenry that first and foremost who would defend themselves from their own government. How quickly we forget that the United Nations sits willing and able to take our guns upon the signal from the White House. Our future. 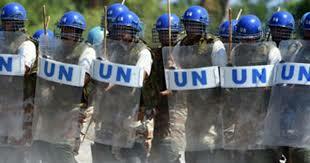 Obama is set to enforce the UN Small Arms Treaty that Obama and Kerry signed. 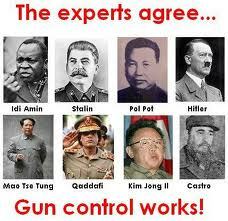 How Well Does Gun Control Work? 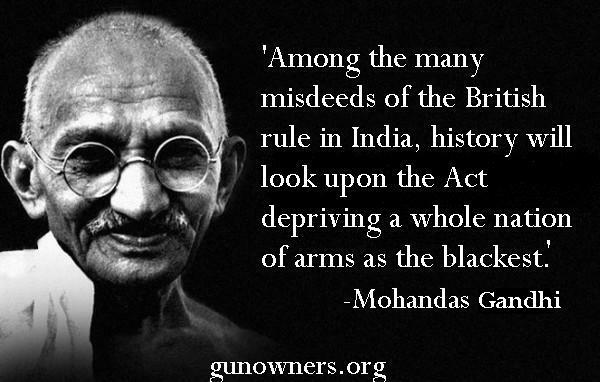 Even infamous people, in history, warn us not to give up our guns. Will You Follow Obama and Hitler or Thomas Jefferson? This entry was posted on December 12, 2015 by conspiracyanalyst in Gun Control, Society, US News and tagged gun confiscation, gun control.